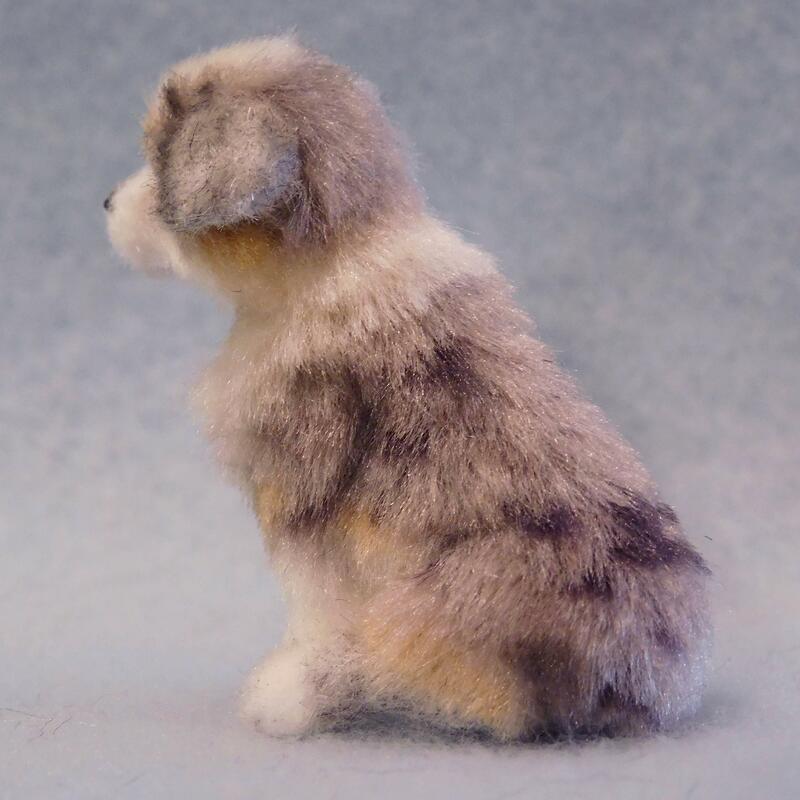 I'm still in the mood to create puppies, to me, springtime brings new things to life! 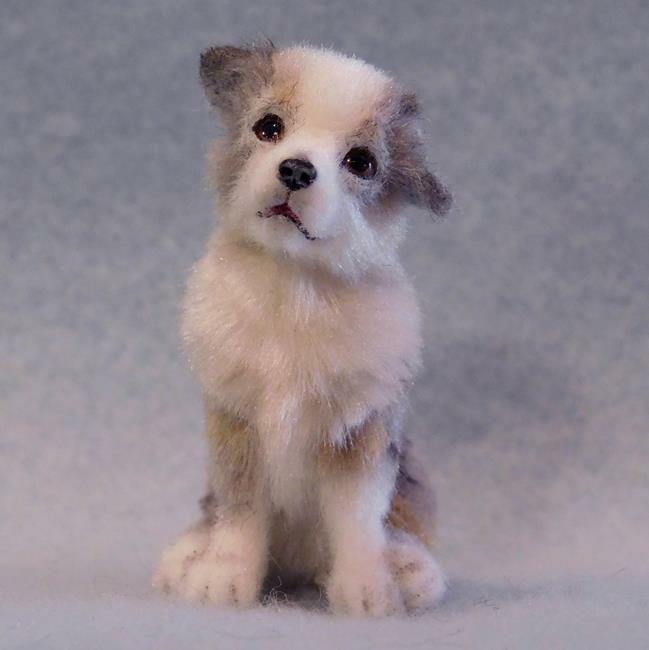 So this week I'm offering this little Aussie puppy for auction. 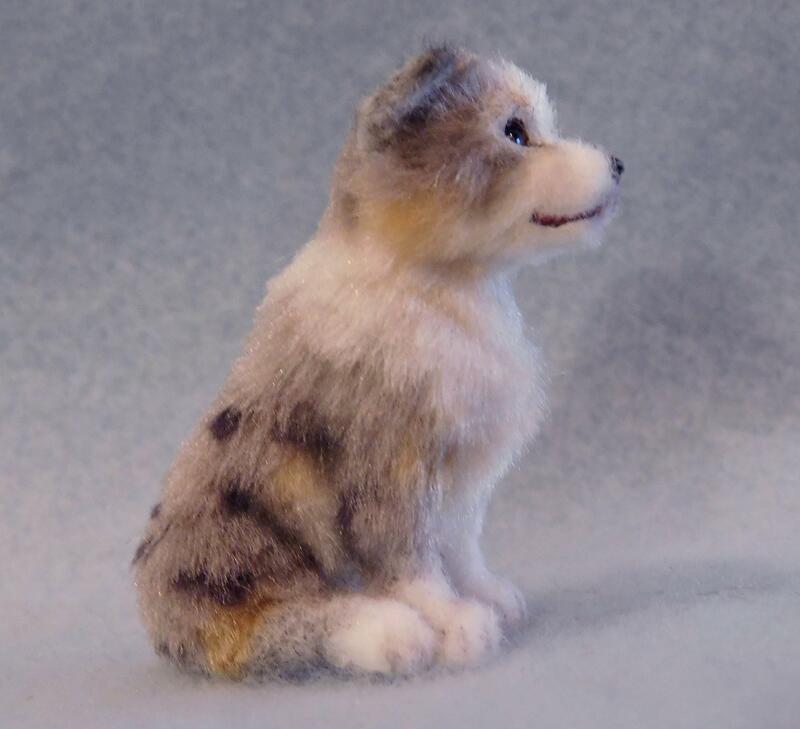 I first carefully sculpted her in polymer clay, painted the tiny details with acrylic and applied the multiple soft shades of silk fiber one layer at a time trimming and fine tuning the little details. 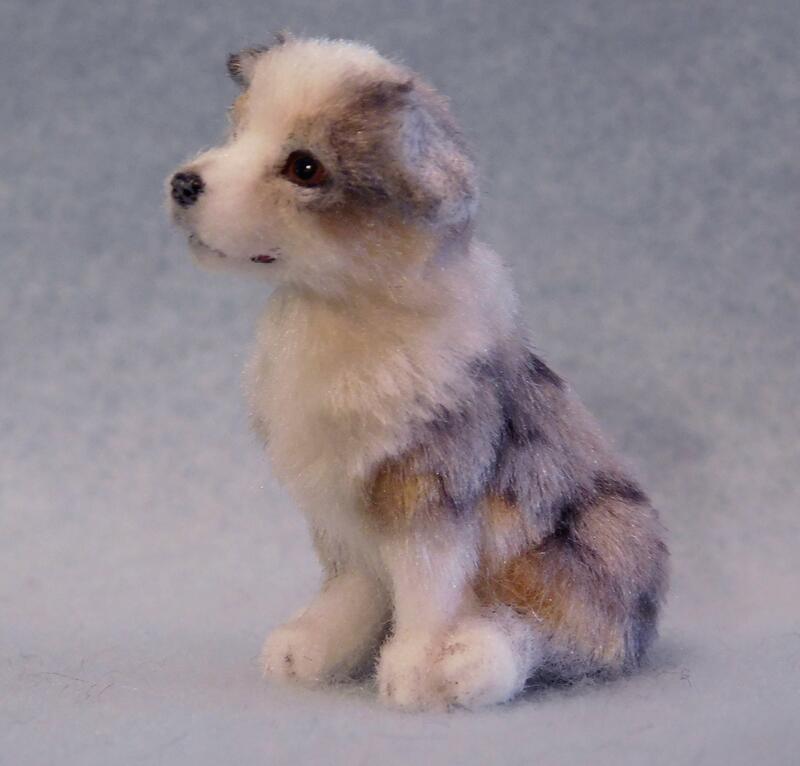 I made the eyes in a separate process and cured them into the sculpture. They give her a lifelike appearance while giving her that 'please give me a forever home' look. I will send an original digitally signed certificate of authenticity that may be verified through the ebsq site. This would make a great addition to your original dollhouse collection!